Gorgeous and vibrant skin is for every individual and thankfully we have multiple modalities and skin therapies to make that possible. Over 24 years of experience in the aesthetic & beauty industry lends us the expertise & “Guru” status to personalize ANY skin care program necessary. 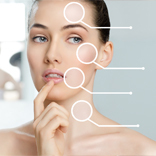 Our arsenal includes customized exfoliations, facials and peels, micro current facial rejuvenation, oxygen skin infusion, light therapy, ultrasonic lifting, makeup & brow design and microdermabrasion………basically, we design the skin you want! By combining the latest medically-based, scientific technology with a passion for beauty we offer top-of-the-line, expert skincare therapies. 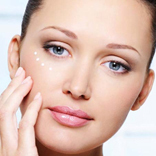 Each and every treatment is customized to fit your individual needs and desired results. We take the time to listen to what you want to achieve, and help you get there. We love what we do and we love seeing you look your best.